YOUNGSTOWN – Stanley W. Clark passed away surrounded by his friends and family at the age of 64 on Monday, March 3, 2014. 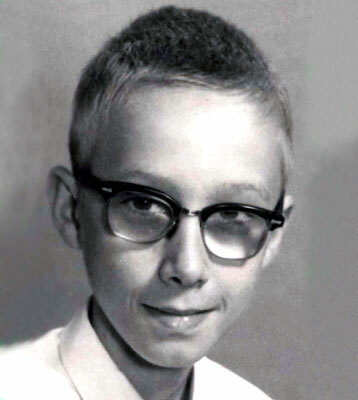 He was born in Altoona, Pa. on Aug. 20, 1949, to the late Homer J. Clark and Cleo L. Harshman. Stanley will be remembered as a hard worker, involved in both security and auxiliary policeman work. Stanley had a passion for trains and cars. He also enjoyed walking. Stanley also had a love for his country and showed it with the numerous flags he owned. Left to mourn Stanley’s passing is his wife of nine years, Helen Clark; his son, Todd (Danielle) Clark; his grandson, Vincent Clark; his brothers, Edward (Judy), James (Sondra), and William Clark; his sister, Kathy (Chuck) Flickinger; his goddaughter, Kathy Jo Hoffman; and several nieces and nephews and great-nieces and great-nephews. Stanley was preceded in death by his parents, and his brother, Stephen Clark. The family will receive friends from 5 to 8 p.m. on Thursday, March 6, at the Lane Family Funeral Homes, Austintown Chapel, 5797 Mahoning Ave., where a funeral service will take place Friday, March 7 at 11 a.m.